Save money this year and make homemade gifts! Frugal and more a gift from the heart. It is just prudent to have some supplies on hand. There are many pictures of our grandmothers and their shelves filled with canning jars full of food they canned. I read a book a few years ago where the family said because they lived on a farm and put up their food the depression did not effect them as bad as others. We may never go through what they did but we can learn from them. We can build our storage and supplies in time of plenty for times of scarcity. How is this a bad thing? It is kind of like my husband telling someone who played the lottery, you give me the money and I will give you half back, those are better odds…it just makes sense. I have said it is better to learn your skills when you are not in the crisis. It is too hard to learn and deal with the crisis at the same time. I have had to learn skills all my life and now it has helped so much to stretch our budget. Have I stopped learning? No, I continue to learn and always will. I have been busy with making Christmas gifts. Have you been busy with that as well? The holidays are coming up fast. I like to get things tended and mailed before Thanksgiving so that I can just enjoy the season. 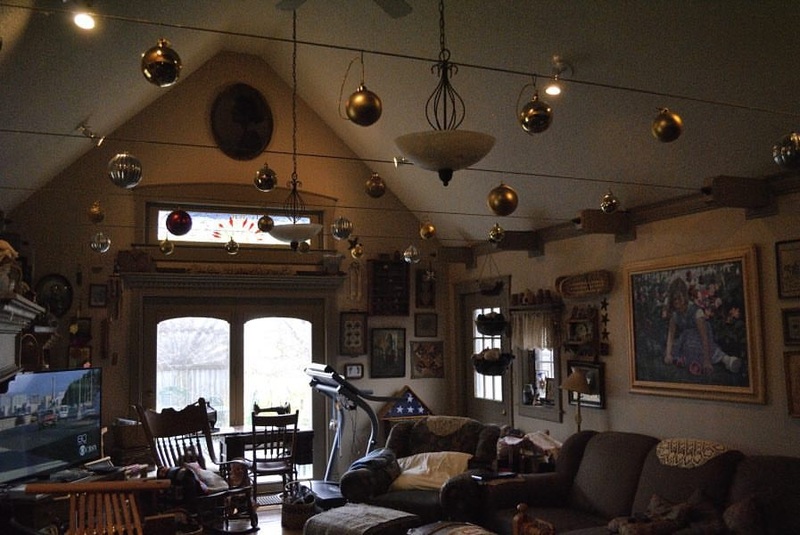 https://www.countryliving.com/diy-crafts/g21095894/tailgate-games/?slide=5 - this says tailgating but I loved the idea, would be fun family gifts, I think pie tins painted would bring down price. https://www.countryliving.com/diy-crafts/g21095894/tailgate-games/?slide=9 - this said tailgating too but again I thought a great family gift. I used to get a puzzle for our family gift and we would put it together as a family. So I thought these inexpensive ideas would be fun to do together, things are always fun done together. 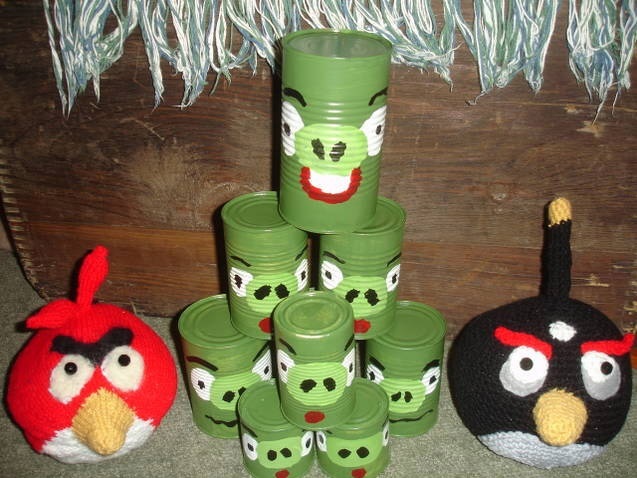 More on how to make these angry birds HERE. https://www.countryliving.com/food-drinks/g1059/homemade-food-gifts/ - now I am not a coffee drinker nor alcohol either, just skip those if you are not as well but the other food gift ideas are great, they will inspire you. 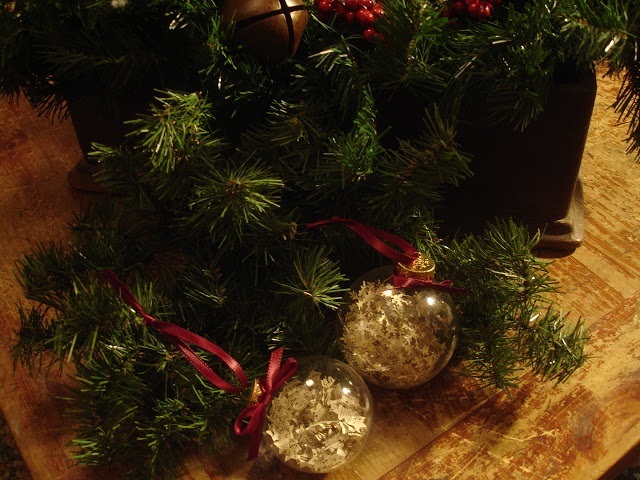 https://laurascheaptricks.wordpress.com/2011/12/08/merry-making-50-things-to-do-with-kids-in-december/ - have fun with your family. https://www.iheartnaptime.net/handmade-christmas-gifts/ - great ideas here, I liked the pan with cookie dough balls ready for someone to bake. I think we need to plan to watch our spending for the holiday. Look for ways to save. Give food storage or things like food sealers, canner pressure, canner, dehydrator, wheat grinder… things that will be helpful rather than glitzy, a gift to keep giving or will help the ones who receive. Do not go into debt, no matter what!! Look for ways to help those who are in need. Keep working on your storage. Look for great deals for your storage in your store flyers. There should be great sales this time of year. Keep cooking from scratch and saving money from this skill. Hello, I read your blog each week yet almost never comment. But I wanted to know how much I appreciate your thoughts and resource links! Even if I don’t comment a lot :). Thank you again. Hi Becky, I too read every week and marvel at your inventiveness! I do so appreciate your inspiration and encouraging words. Dear Backy, I am an avid reader! I agree with everything you are saving. The comment about the family that survived the Great Depression better with what they had stored reminded me of something someone told me. My friends Great Grandmother and great Grandfather were married just after WW1 in Australia. Great Grandmother was told at that time by her new mother in law that doing the war many items were in great shortage and to stock up on these. The items included sugar, soap, fabric... other items... My friends Great Grandmother listened and she began to stock up. She gradually lined all the drawers in the bedroom and linen cupboard with a layer of soaps. She bought sugar, fabrics, cottons etc. And WW2 came. This whole family survived so much better as she bartered and gifted lovely soaps etc. This made so much difference to how they survived. I thought this was just wonderful and will never forget it! Many items like soap are small, keep well, not expensive to buy now... yet became so very valuable! 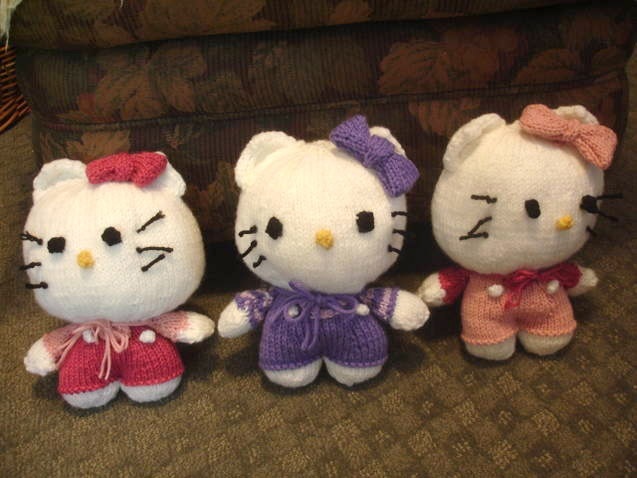 Did you make the Hello Kitties? They are adorable. These are all great ideas and as always, I love the look into your beautiful home.